I've written many blog pieces on how to grow horse racing in the past. Now I felt like I need to put together a proposal on how to sustain and grow horse racing in Ontario. I used the stats in the Horse Racing Industry Transition Panel Interim Report. I trust these numbers much more than I do Dalton McGuinty and Dwight Duncan's numbers, which lowballed those employed in the industry at around 5,000. Hey wait, if they used that number to help make their decision, why isn't there an inquiry sign up? $260 Million goes to purses in Ontario each year. $170 Million in harness purses. $90 Million in thoroughbred purses. $158 Million comes from slot revenues. Approx. $45 million for thoroughbreds. Approx. $113 million for harness races. Approx. $102 Million comes from wagering on horses. $45 million from wagering on thorougbreds. $57 million from wagering on harness races. Included in the above numbers is money that goes into purses through the HIP program. That money comes from slots and betting mainly. Gaming revenues from slots: $1.73 Billion. Key stat is on page 6 of first OLG link. It shows that after operational expenses and commissions (note: they don't use the term subsidy) at OLG Slots at Racetracks earned a net profit of around 46.5%. This number is very important. From a business perspective the move to cut out racetracks was sound and rational, however, the government isn't in business to make moves which are solely profit oriented (the government is elected to weigh in social costs, job impact, etc., all of which were ignored here). The other thing is that the sound and rational business decision was based on many key false assumptions. For example, the OLG and Liberal government believed it would be a slam dunk to place a casino in Toronto, they also believed that tracks would accept market rent to keep slots in place, they also believed they could do all this without significant public push back, and the numbers used in their studies were absolutely ridiculous ie using 5,000 as the number of exployed by the industry. One thing the government and OLG is correct about is that they shouldn't be operating casinos. Just like with teachers and other public employees, they let salaries get way out of hand. Using that 46.5% net profit number, it means that operational expenses including promotions, wages, etc. was a whopping 28.5%. And that is just for operating slots. Imagine how much it would cost them to expand to table games and the renovations that go with it. The government has to get out, and they know it. 28.5% for an industry that employees around 4,000 slot workers province wide. Meanwhile tracks and racing outfits employ at least 6 times that amount (not including busineses that have a major reliance on horse racing's existence) and their take was 20%. To show that this decision was really made in haste though, the OLG has not specified what they want their new cut to be. Should they have figured it out. It seems they are letting the markets decide. It makes it very tough for the horse racing industry to ask for a fair amount going forward. How appealing would that number be for new operators? 5% will still wind up going to municipalities, and expenses will be on the high side because the rental agreements with racetracks will be much higher than anticipated, as well as the expenses to renovate and expand. Table games take up space and aren't nearly as profitable as slots, yet they will cannibalize the slot players as well. Online gaming in Ontario is also in the horizon and that will keep a lot of slot players home too. And then there is political uncertainty. Governments can obviously do what they want when it comes to gambling...they own it. So even though a new operator can cut a lot of government fat out of the 28.5% that is currently on the books, a new operator looking to make a profit is most likely going to ask for at least 40%-50% of the total revenues. Kind of defeats that whole purpose. It is important to realize that the Transitional Panel didn't state the SAR program should end because the government needs the money. No, the panel decided that the funds were not being used in a worthwhile enough manner, and that the industry was overfunded (especially the tracks themselves), but mainly that the industry's lack of growth was due to lack of benchmarks. They called the slots partnership a subsidy, yet they realize that once gone, horse racing needs a subsidy to survive. Why they didn't just recommend a 6% for tracks 8% for horsemen solution really escapes me, why the need to invent a new subsidy if that is in fact what the partnership was? With Windsor bowing out so far, we can reduce harness racing numbers by 88 race dates (6%) of the total, $6 million in total purses (of which $2 million came from betting and $4 million from slots). Woodbine thoroughbreds has already cut 6.5% of its dates this year. I think there has to be less racing going forward, but I don't think it needs to be a drastic cut of anything of over 10% to begin with, and then the market can determine the correct number of race dates going forward. Along with a 10% reduction in race dates, it can be assumed wagering will drop by only 7% (if dates can be given out in a more effective manner). However, it needs to be assumed that purses also are reduced by 10%, though the purse structure will remain close to the same). So where will the $143 million needed next year to allow horse racing to keep its head above water? RENT or allow racetracks to operate casinos at their own tracks (if they can operate a track, they can operate a casino). No need for the government to cut a check. The government just needs to make sure that all tracks hire capable casino managers (many will be available from the former OLG staffs), or tracks can hire experienced gaming management companies. If it is rent, rent needs to be around 16% of slots revenues (8.5% to purses, 7.5% to tracks, which includes 1% that must be spent on industry racetrack promotions and innovations). If tracks are allowed to operate the casinos, there could be automative savings by overlapping employees and security. They wouldn't need as much of a cut as a private operator would, which means the government could get more than from an MGM for example. Tracks could operate and expand for something closer to 20%, add 5% to municipalities, 8.5% for horsemen, 8% for day to day racing operations, profit, and horse racing innovations, and the government could get close to 60% of the gaming revenues. Racetracks must justify salaries and bonuses going forward to the government (who will still be the watchdog for horse racing and casino gambling). The government can assess these expenses and give tracks a lower percentage if they feel compensation is too high. Racetracks must invest 1% of the total gaming revenues towards innovating new products such as a racetrack lottery similar to the V75, paying for kiosks across Ontario to place in variety stores as well as developing sports books. The HIP program needs to be larger. Ontario bred horses means that more money goes back into the Ontario economy creating even more jobs. Perhaps, too high a percentage goes to foreign breds and foreign owners. Buy Ontario should be emphasized, and that means more Ontario bred races, including claiming races. This will increase the worth of even the lowest least productive Ontario bred, and if their prices go up, so do sales prices at Yearling Sales. Of the $236 Million that will be available in purses, 30% should be allocated to Ontario bred restricted races for all three breeds (this is close to double of what it is currently). The HIP progam should be paid out from either rent or from gaming revenues. Right now there is a restriction on racetrack's ability to experiment with lower takeout (tracks can lower or increase takeout without a problem, but the way percentages change with respect to what the track gets because of HIP, inhibits tracks from lowering), allowing horse racing to compete with other forms of gambling. This is because HIP monies are mostly funded by a percentage of total handle, at the very least, HIP from horse race betting needs to be determined as a percentage of total commissions made on wagers by the racetracks. The result will also allow tracks to make more money on each wager as a percentage of handle, and it will give them more incentive to grow handle. As gaming in Ontario expands with the internet and more non racetrack locations, gaming revenues at racetracks are bound to drop. Horse racing needs to expand their product. A weekly lottery with a takeout of 35% (10% going to stores and the government) would help immensely by exposing more potential gamblers to horse racing, and of course raising more money for the industry. These dollars can eventually be used towards marketing and innovations in a separate account. If successful, the government get back another 1% of gaming revenues from the racetracks that were earmarked to this cause. Horse racing should also get a proper cut on sports betting. In fact, sports betting can be separate from the casino operation and belong mainly to the racetracks done on the racetrack side of the operations. Purses for Grade 1 races that attract international entries that come in for a couple of days should be capped at $500,000. 25% of the 8.5% (around $36 million) of totals slots revenues for purses needs to be put in a separate fund (for purses only). 5% (approximately $7 million) is to be used to subsidize tracks and fairs that don't have slots (like Fort Erie right now), while the other $20 million is distributed out to track who show specified improvements in total horse race betting handle. This will keep racetracks on their toes looking for new customers, and also it will force them to cultivate customers once they have them. Best way to increase handle is to lower takeout. Bigger fields generally mean more handle. Take this years purse for each class, but only give out 70% for field sizes of 7 or less. For thoroughbreds add 10% for each additional betting interest that races. So a 14 horse race with no entries at Woodbine will go for 140% of this year's purse. 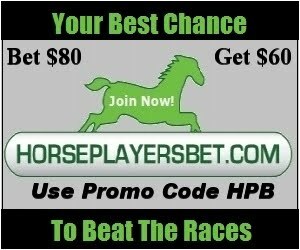 For harness races, 80% of the purse for 7 horses or less, 90% for 8 horse races, 100% for 9 horse races, and 110% for 10 horse races. Finally, Fort Erie should get a gaming zone, if not to put slots back in, for table games and especially sports betting. Sports betting in Fort Erie will attract many from NY State. Edit: A B thoroughbred track in Ontario is a necessity. Owners need an out if their horse can't compete on polytrack or if they can't compete at Woodbine bottom levels. If an owner's only options are to sell an underperformer very cheap, or have to race it in the USA, many will leave the game. It won't be fun, and the downside will be greater. That is why Fort Erie must be looked at as a special case.